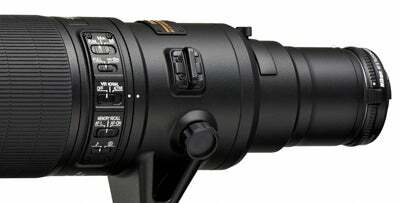 Last summer, Nikon announced its development of a whopping 800mm telephoto zoom lens. Today, the AF-S NIKKOR 800mm f/5.6E FL ED VR has been formally launched, making it the longest focal length lens in the NIKKOR range. Designed with high-end components and advanced technologies to keep the weight of the lens to a minimum, it partners new lens technologies such as electromagnetic diaphragm control alongside Nikon’s tried-and-tested features such as Vibration Reduction and Nano Crystal Coatings. The optical system contains a total of 20 elements in 13 groups, which includes two fluorite and two ED elements. To keep the focusing as fast and as quiet as possible, the lens adopts Nikon’s Silent Wave Motor (SWM) and three focus modes are employed: A/M (autofocus with manual override, AF priority mode), M/A (switch from autofocus to manual operation in any AF mode instantly), and M (manual). Being a premium lens with a hefty £15,600 price tag, its use will be largely in the hands of professional sports and press photographers. Each AF-S NIKKOR 800mm f/5.6E FL ED VR lens that’s sold will also be supplied with the AF-S TELECONVERTER TC800-1.25E ED. This is the first teleconverter to employ an ED glass element to correct chromatic aberration, an issue to which some long focal length lenses are especially prone. As can be expected with such a large lens costing so much, the AF-S NIKKOR 800mm f/5.6E FL ED VR and AF-S TELECONVERTER TC800-1.25E ED are supplied in a hard carrying case (TC-801) for convenient, safe transportation.